You’ve heard of a locavore—someone who only buys and eats local foods. That trend has been gaining in popularity in recent years because of its many benefits: it cuts down on fuel and shipping, thus decreasing one’s carbon footprint; it helps your local economy and business by keeping money in your own area; it creates local jobs and utilizes local farms. With the food movement being so huge, it only stands that the liquor trend would follow. Yes, there is such a thing as a “locaholic.” According to the Urban Dictionary, that’s someone who only buys and drinks locally-made alcohol. The locaholic movement is also gaining ground for the same reasons.Now, chances are you know many a local brewer or vintner—but what about locally-made, all-natural sour mix? Locally made and sourced moonshine? You can get those in Connecticut and Rhode Island, too. Candace Boissy, Brand Ambassador; Michel Boissy, CEO/Co-Founder; and Ryan Guimond,Operations Manager/Co-Founder. All of RIPE. Because RIPE uses mostly citrus fruits right now, they can’t source local farms—but they do squeeze their fresh fruit daily at their “juicery” in Wallingford, Conn. “Most large juice companies squeeze and over-process fruit juice far away and truck it in. But our method is to bring whole fruits and vegetables here to Connecticut, squeeze it, and get in on the shelf in your bar within days,” Boissy said, adding that with RIPE growing by leaps and bounds—they will produce some 20,000 cases this year— his plan is to source local fruits and veggies by next summer. Peter Kowalczyk and Adam von Gootkin, founders of Onyx. 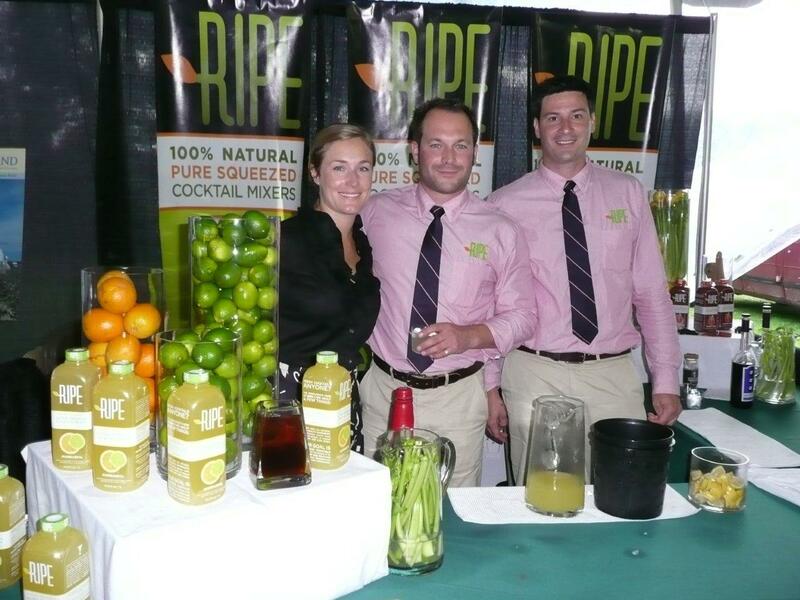 RIPE co-sponsored The Coventry Regional Farmers’ Market “Farm to Shaker” bartender challenge on Sept. 9. 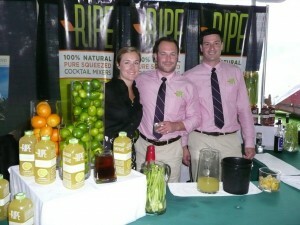 Bartenders and mixologists competed to create the best cocktails made from locally-grown ingredients. Proceeds benefited the Coventry Regional Farmers’ Market. Onyx Spirits from Manchester, Conn., also co-sponsored the event. Onyx makes Onyx Moonshine and says it is “the first moonshine to be produced in Connecticut since prohibition.” The old-time spirit can be used to replace vodka or whiskey in drink recipes. The hip Gatsby feel of Prohibition-era moonshine combined with the locaholic movement has the old-time spirit flying off Connecticut shelves, said Onyx co-founder Adam von Gootkin. “Oh my God, we can barely make the stuff fast enough. We were planning to sell 5,000 cases our first year, and we’ve almost sold 25,000. It’s really exploded,” he said. 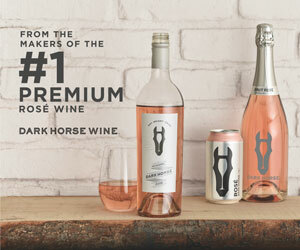 Even Onyx’s bottle labels are made in Connecticut, and the moonshine itself is made with Connecticut spring water. Starting next year, they will probably start sourcing Connecticut farms’ corn and grain—“We couldn’t afford to do it as a start-up,” van Gootkin explained. 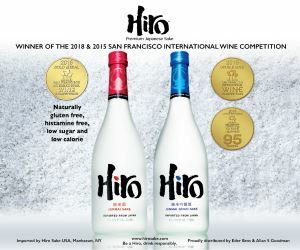 “But once we source from local farms, we’ll really be getting back to the model of using what we have here and living off the land.” “Not only do we give you a spirit that’s authentically American, when people buy it, they’re buying local,” said van Gootkin. He and fellow co-founder Peter Kowalczyk launched Onyx in October of 2011. Onyx has even made its way to Los Angeles—the Connecticut moonshine was selected as the “official spirit” tucked into the celeb gift bags at the 2012 Grammy Awards. And no, it doesn’t go against their business ethics to ship cross-country, he said. “I’d love Californians to drink our moonshine. I’d love people in China to drink it,” he said. 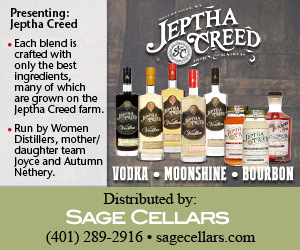 Other Connecticut distilleries are Elm City Distillery, which makes vodka and rye; Westford Hill Distillers, which makes brandies; and Connecticut Valley Distillers which makes brandy, grappa and liqueur. 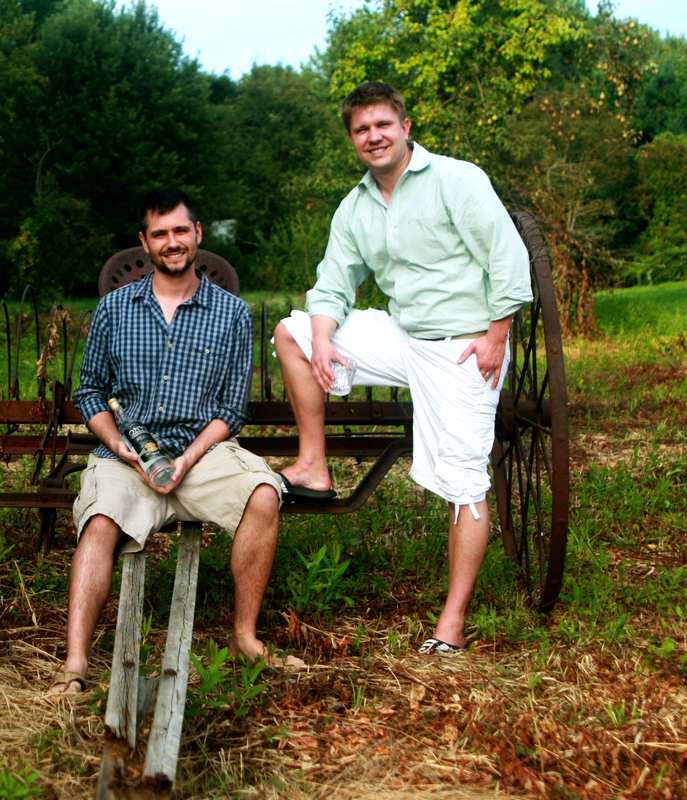 Mike Reppucci founded the Sons of Liberty Spirits Company in South Kingstown, R.I. in December. The Brown University grad, who has also studied at the London Business School, distills vodka and whiskey with his cousin, Chris Guillette. “America’s first homegrown single-malt whiskey” is already distributed to more than 100 locations by Horizon Beverage Company of Rhode Island. Newport Distilling Company in Newport, R.I., has been making Newport Storm craft beers since 1999 and Thomas Tew rum since 2006. The rum is a staple in many Newport bars, whose customers like their “Dark and Stormies” made with Ocean State rum. The company was recently featured on the Discovery Channel’s “Dirty Jobs” with Mike Rowe. 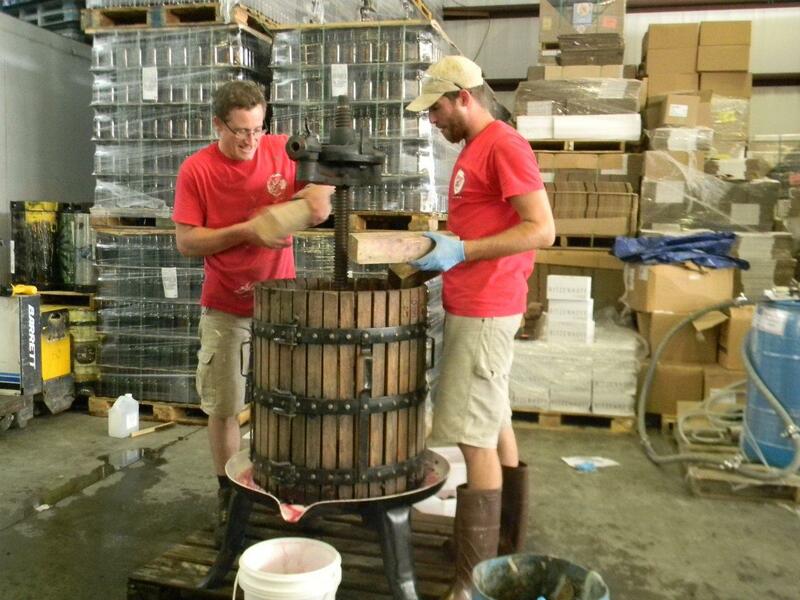 Newport Storm brewmaster, Derek Luke – left, and brewer, Jason Tsangarides – right, using Newport Vineyards wine press to press this year’s blueberries from Shartner Farms for our Rhode Island Blueberry Beer. Brent Ryan, a founder of Newport Distilling, said Rhode Islanders—and summer residents or visitors to the Ocean State— go crazy for Rhode Island-made brews: “You’re getting two different elements—you’re getting the customers who want to support their local economy and their neighbors, and you’re getting the customers who know that locally-made means fresh,” said Ryan. “Right now, Thomas Tew rum is sold only in Rhode Island, Massachusetts and Connecticut, so there’s also the sense that people are getting something you can’t buy anywhere else,” Ryan said. 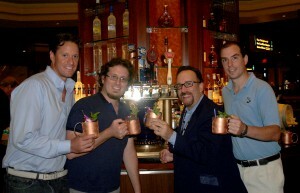 Twin River Casino in Lincoln, R.I. launched a signature cocktail made with Thomas Tew rum, “The Wink,” in September. Created by Frank Martucci, General Manager of Beverage Operations at the casino, The Wink is billed as “Rhode Island’s first craft cocktail made and served from a keg barrel” that continues Rhode Island’s “rum heritage.” In the 1700s, Newport, R.I. was a leading rum capitol, according to the Thomas Tew website. Ben Jones, Regional Director Rhum Clement; Jonathan Pogash, “The Cocktail Guru,” renowned cocktail consultant; Frank Martucci, General Manager Beverage Operations, Twin River Casino; and Brent Ryan, Managing Director, Thomas Tew share a toast of Wink at the “keg barrel craft” cocktail’s launch party at Twin River Casino.